The days are getting colder and shorter, but it is no excuse to stay indoors and just sit on the sofa. We are trying to make the most of the little sunshine around and enjoy being outdoors as much as we can before the rain season begins. 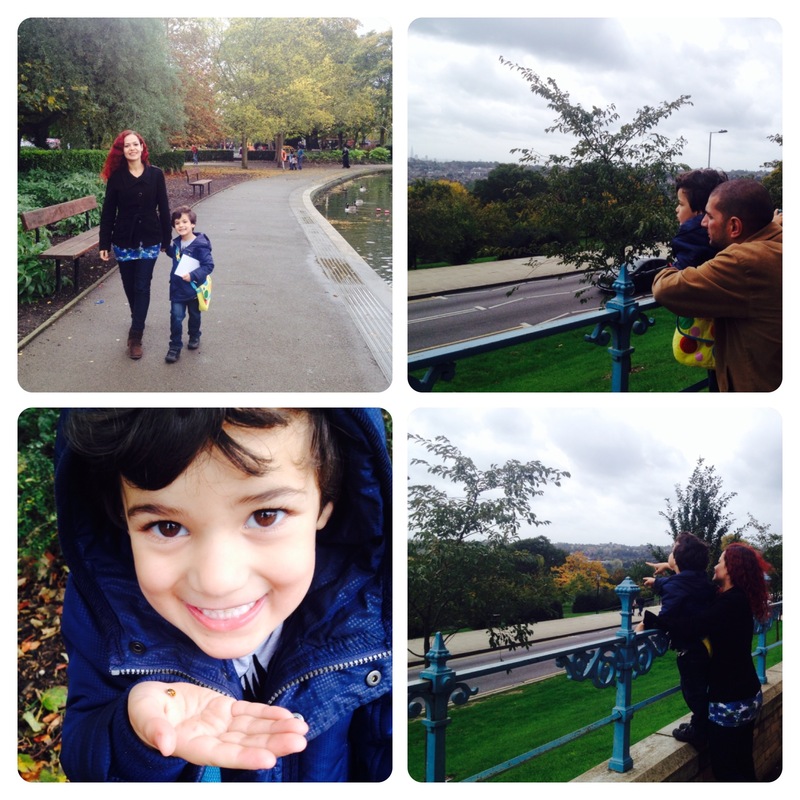 We enjoyed the Simple Pleasure in Life: Family Fun Day at the Park, we found lots of conkers and the whole family had a great time together. Our next activity is Pedalling Family Fun at the Lake, timed in between two rain showers, we only just managed to keep ourselves dry. October is a Stay Active month and in order to encourage children and parents alike to stay fit and healthy, Mark Warner, the family activity holiday specialists, is hosting the Stay Active Family Challenge. We have agreed on taking part of the challenge by spending a minimum of 4 hours over the month taking part in activities of our choice as a family. 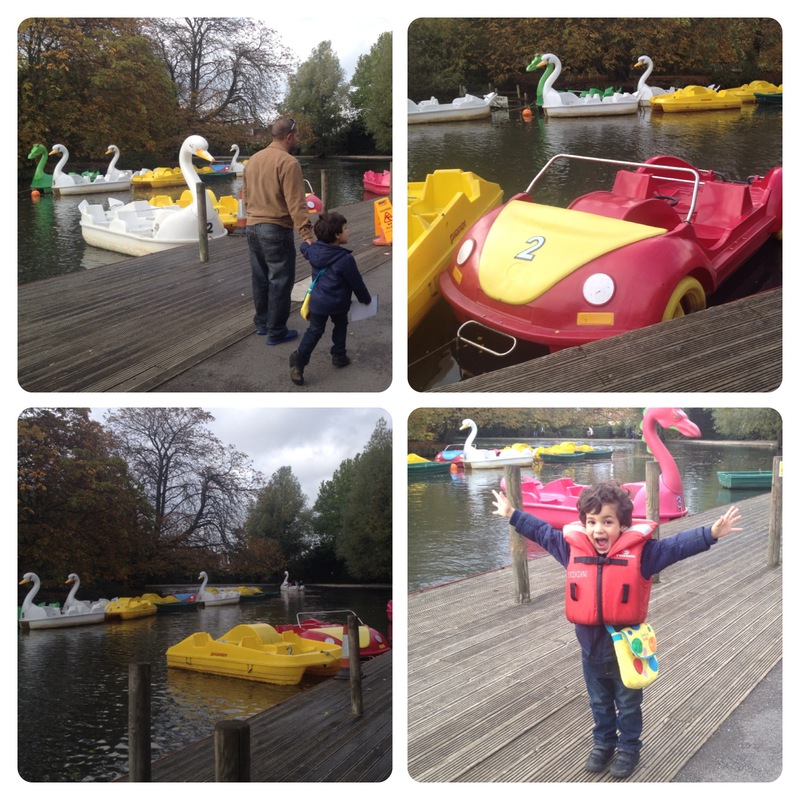 One day we were walking around in a lovely park and saw some pedal boats at the lake. Little man got very excited and asked if we could go on one of them. We have never been in a pedal boat before, so we thought we should hire one and have some pedalling fun. Little we know how hard pedalling is, it is hard work to go around the lake a few times, but definitely worth it as we had a great time together. 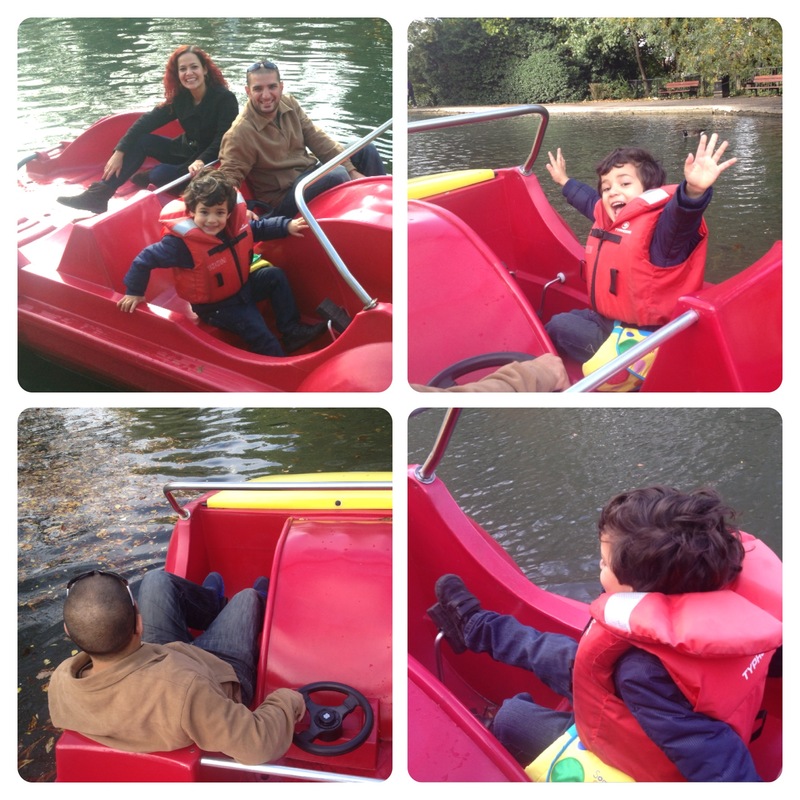 We picked a red car to be our pedal boat and take us around the lake. 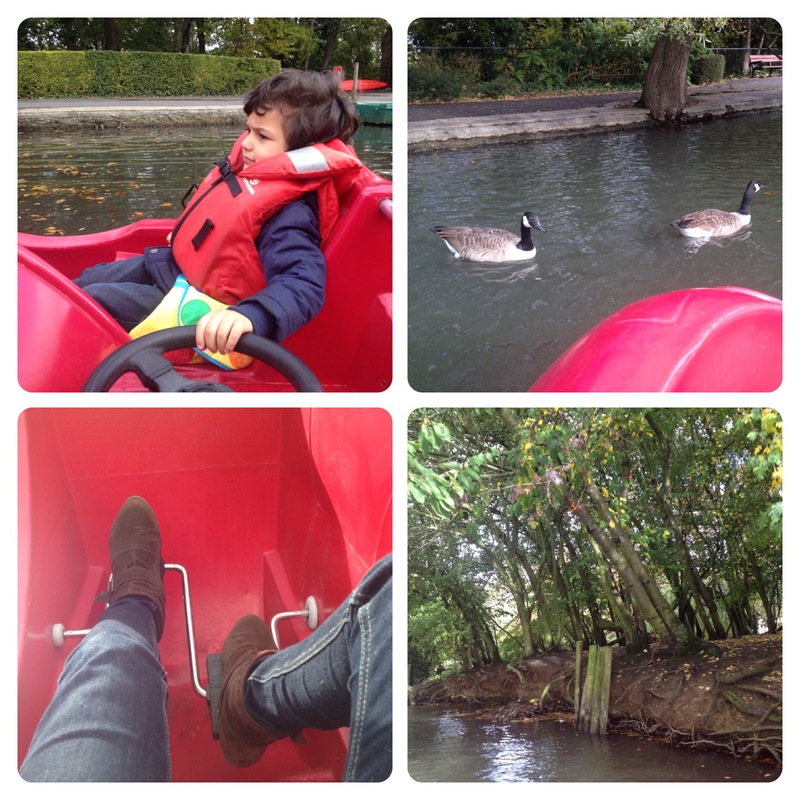 There are two pedals at the boat, so we took into turns, little man and daddy were pedalling first, then little man was in charge of the wheel and mummy started pedalling. I could really feel my legs while pedalling, it is not as easy as it looks, especially as we wanted to go around the lakes as many times as possible. We had a great time pedalling, enjoying the nature around us, looking at the ducks swimming along and the lovely green trees in the middle of the lake. Although we got quite tired from all the pedalling around, we had a relaxing time at the lake, it was very peaceful and quiet. We had the chance to talk about what we have been up to during the week and spend some quality time together. Our family fun didn’t stop there, after pedalling we walked around the park and spotted some little animals. Little man was very excited when he saw a ladybird, he’s been obsessed with ladybirds since he was a baby, he used to call them ‘bibibird’. He loved having the ladybird on his hand for a short while, then he set her free. We also enjoyed the view, it is quite up high where we were, so we could enjoy the view of the city. 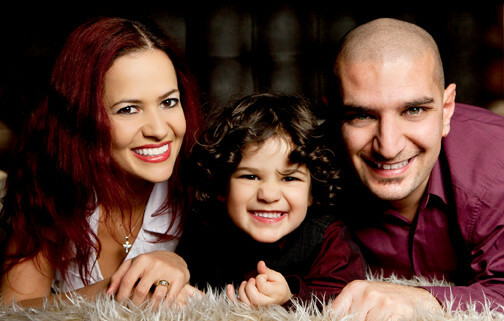 Overall, we had a great family day together! We are enjoying sharing our activities as part of Mark Warner Stay Active Family Challenge, hopefully we are an inspiration for you all to get out and enjoy being active too. I would love to hear what you are up to this month? Please feel free to share your activities and any suggestions you may have. Why not share your pictures or tweets with Mark Warner on twitter @mwholidays using the hashtag #mwactive. You can also search the hashtag for inspiration. This post is part of our entry into Mark Warner’s Active Family Challenge. However the opinions expressed in this post are honest and my own. 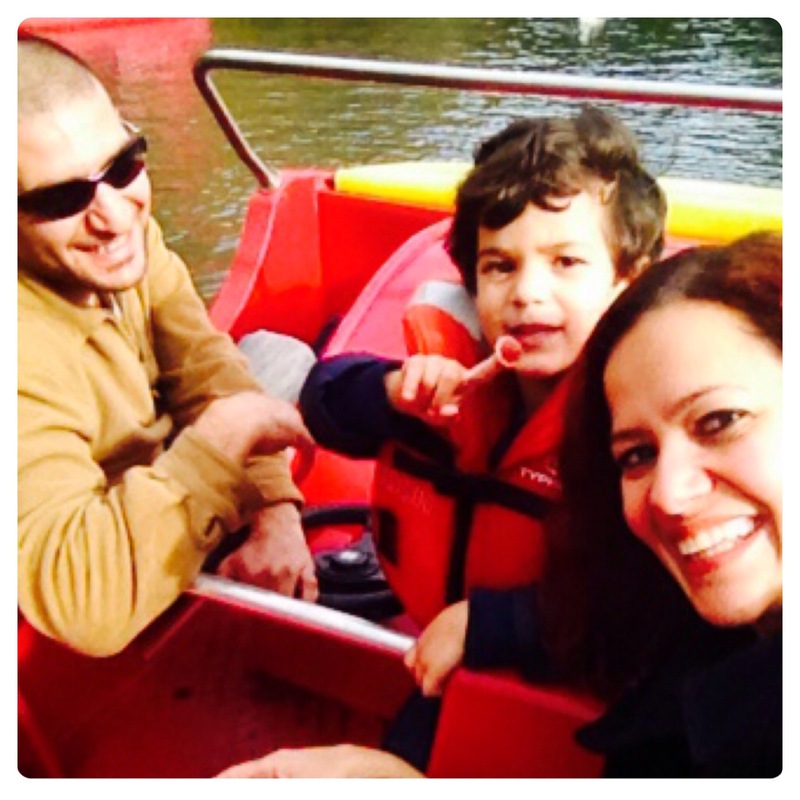 31 Responses to "Pedalling Family Fun at the Lake #MWactive"
Fabulous post. The pictures are fantastic. Looks like you had a wonderful day. We’ve recently been on a similar lake on the pedal boats just like those. It was great family fun. Great fun day out as a family. Good luck in the competition! Such a fun family day out, I can see how much you all enjoyed it and such a fun way to get active too. I love the photo of the little man holding the ladybird – his expression shows such joy. Thanks for linking up and sharing your outdoor fun with Country Kids. This looks like amazing fun! i would love it!! I love the pedal boat you picked. Looks like you had so much fun. The videos you create are fantastic. That does look like fun. I’ve been meaning to take H to do something similar for a while. I agree that the fun is in taking part. Since we took on the Family Stay Active Challenge, we are having so much more fun together as a family. We always enjoyed spending time together, but now we are making sure we are also being active together and it’s been very enjoyable. I would love to do this with my family, it looks really fun plus the kids will enjoy it. Glad you had fun time!